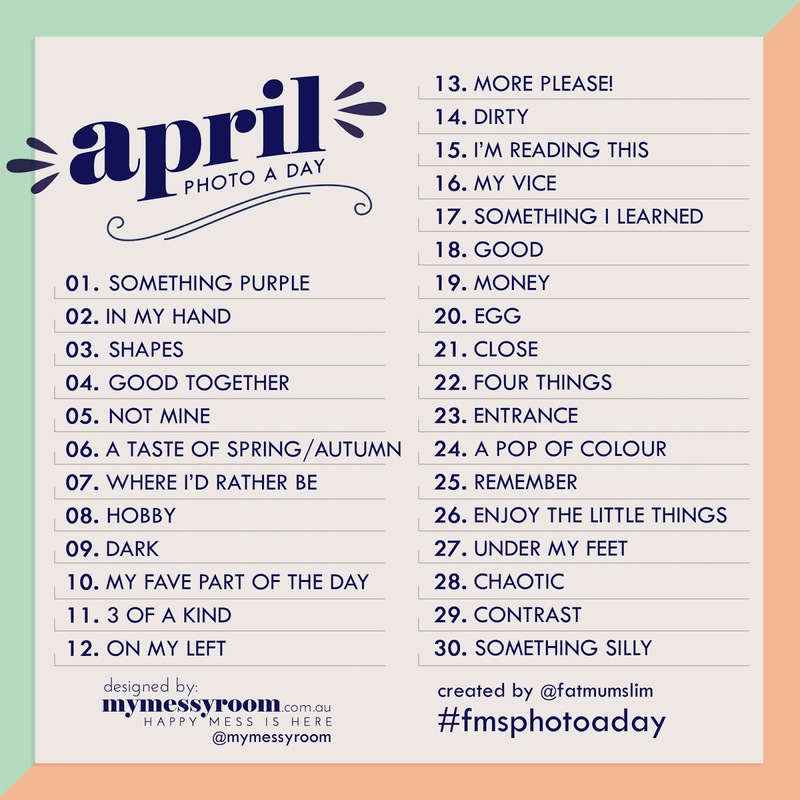 This month I tried something new and joined in on the April Photo a Day challenge. You can read more about it on the Fat Mum Slim blog. I'm not sure why. Maybe deep down I was searching for a way to get more involved on social media again. I've certainly been a little absent lately, with wedding planning taking over my life. But honestly, I just thought it might be fun. And it was, for the most part. I took more creative photos than usual and I felt more connected to my "followers" than I have in a long time. 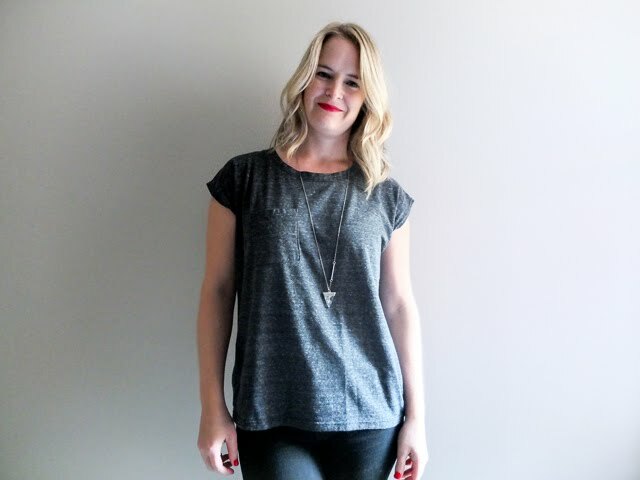 It felt like a true documentation of my life and who I am -- kind of like a visual journal. 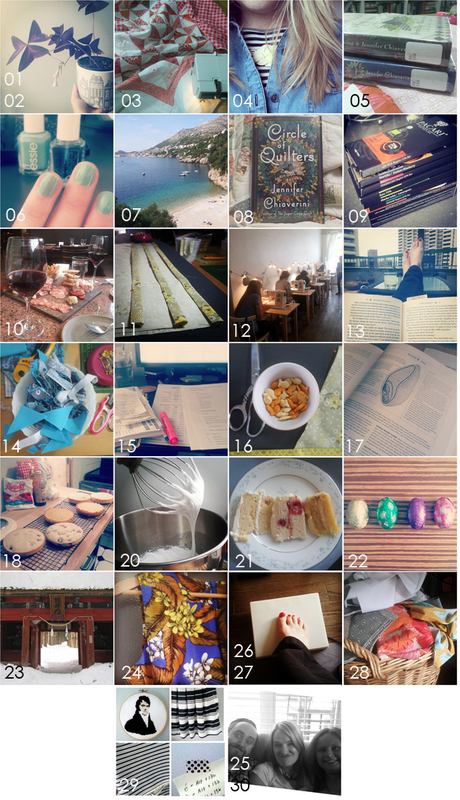 Here are all of my #fmsphotoaday shots if you haven't been following along on Instagram. I made it for the newest addition to my family, my cousin's sweet baby girl. 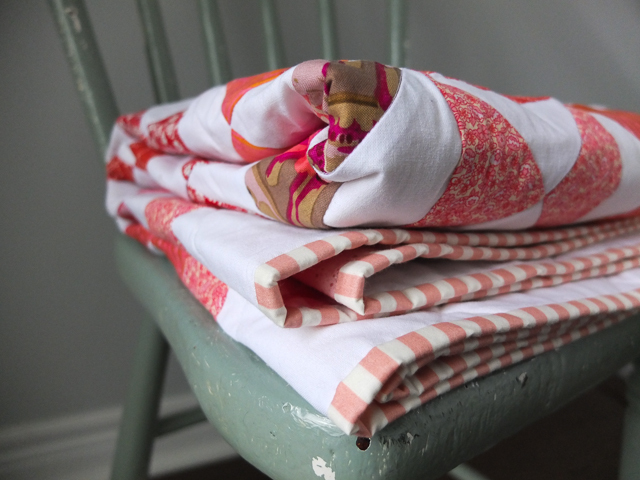 As you can see, again I jumped at the chance to sew with lots and lots of pink and red. 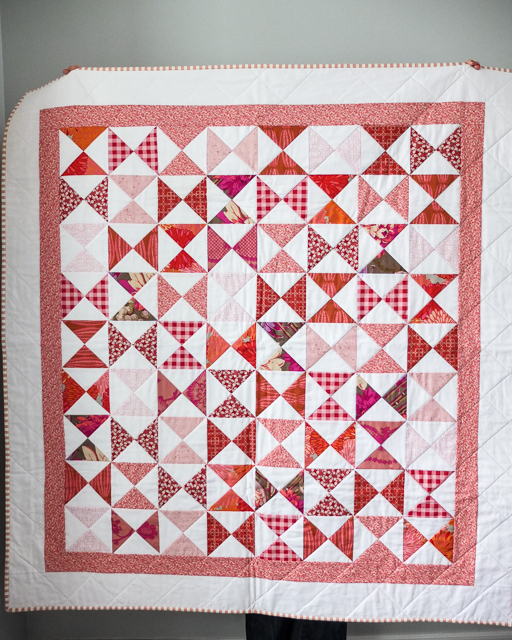 The block pattern is called Big Dipper in the book, but I've also heard it called Bowtie or Hourglass. Take your pick. I learned a nifty trick for constructing the hourglass blocks, which made it really quick to assemble. Two weeks, to be exact. 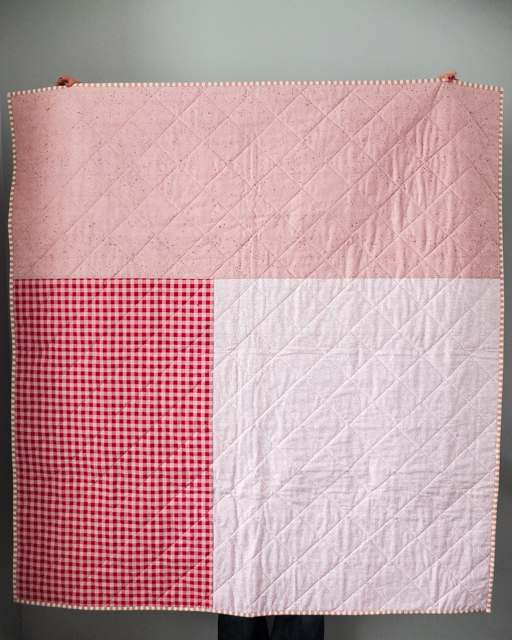 I have also found that I'm pretty partial to this type of straight-line quilting that forms a distinct check pattern on the back. And can we just admire the fun striped binding for a second? It's so fun and the perfect amount of contrast. I see a lot more striped binding in my future. Now for the challenges. Or perhaps I should call them lessons. First, don't believe in magic. Haha! Let me explain. 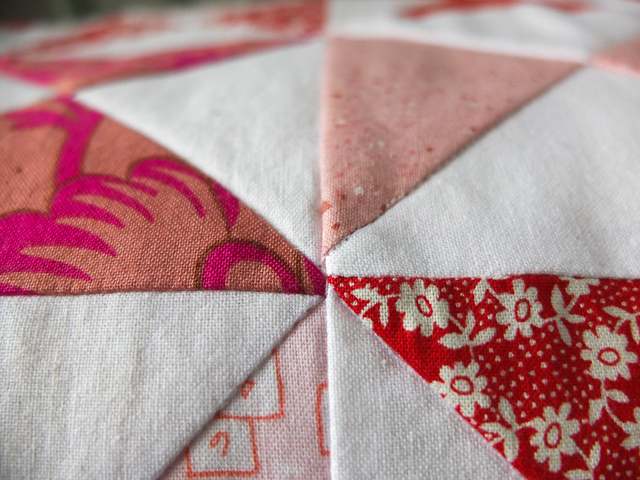 Although I learned a nifty trick for piecing the individual blocks together so that they formed beautiful centre points, I did not learn a nifty trick for sewing the blocks to each other. I assumed that if I consistently ironed all of the seam allowances towards the printed side, all of the seams would nicely nest together, like magic. 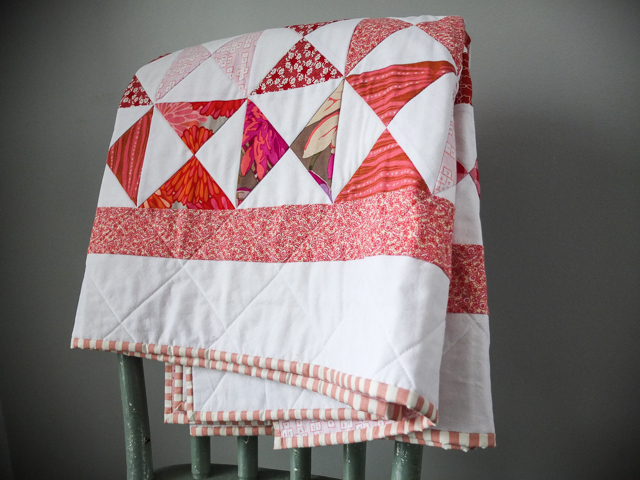 Yeah, there's no such thing as magic in quilting, only math and detailed diagrams. Some of the joints didn't lie as flat as I would've liked, as a result. Another very valuable quilting lesson learned was to never sew in strips. Sew in blocks. Meaning, sew the one block of 4, then join it with 3 other blocks to form a giant block of 4, and keep building. It's a little more time consuming, but much easier to keep all your seams matching up accurately. I sewed them in long strips and it was a little nightmarish in spots (evidence below). You know the expression "don't make mountains out of molehills"? That does not apply to quilting. A seemingly small mistake will come back to haunt you, sometimes multiple times. Fix it in the beginning and you'll save yourself a lot of frustration (sometimes, tears) later. And remember that fun striped binding? Not so fun when you realize how difficult it is to match up those stripes on the bias. I got there in the end. Just something to keep in mind when measuring your strips. 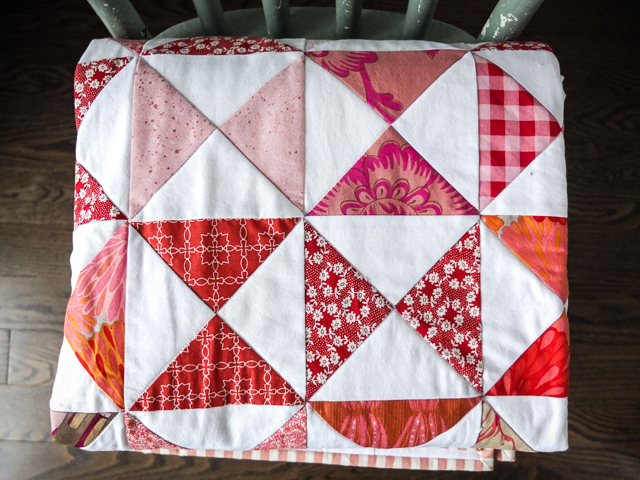 Last but not least, I learned that quilting is a long game with a wide learning curve. 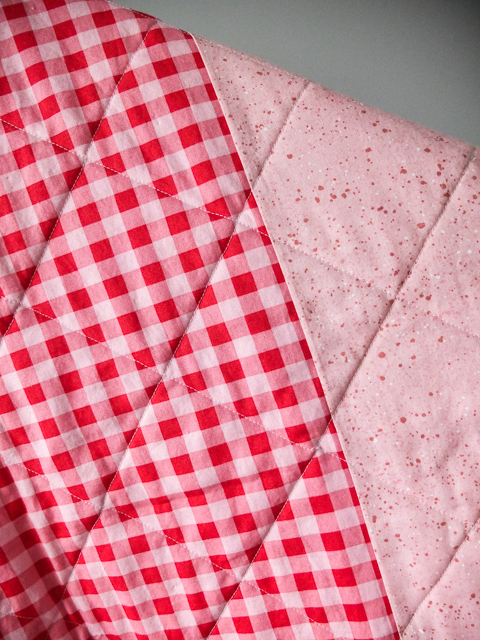 My confidence was really high after taking that quilting course last Fall and I was expecting something closer to perfection than I was getting. Which is just silly. There are so many skills to master in quilting, it could take me a lifetime to achieve perfection, and maybe not even then.